D.I.Y. Design celebrates independent makers – from near and far – who tenaciously follow through their ideas to realization. Whether for love, for money or both, D.I.Y.’ers are optimists; bricoleurs who like to keep their minds and hands busy, certain that all will work out well in the end. 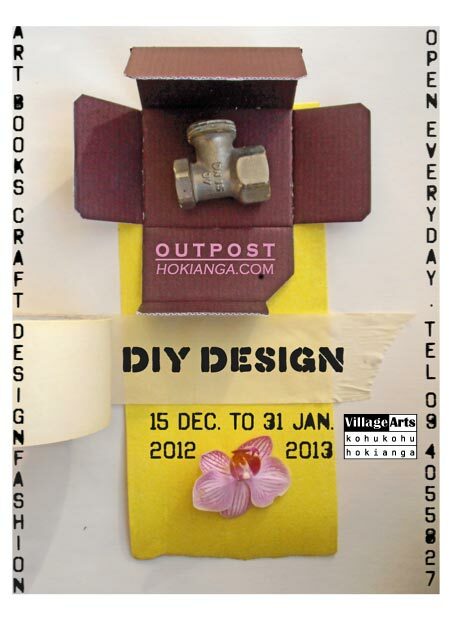 Taking inspiration from building sites, workshops and artisan studios, the design for Outpost Hokianga’s Pop-up Shop D.I.Y. Design transforms Village Arts Gallery into an active transitory space of work in progress where – whether chaotic or tidy – the tools of the trade, finished pieces and potential ones all inhabit the space with equal candor.